This is our C1 vehicle used for the test, it has a max weight of 5.5 tonnes and is ideal for taking the driving test. Some Company's use a bigger one,but the test only requires a 4 tonne vehicle. We train a lot of ambulance / paramedic personnel . This C1 has a 6 speed gearbox but 1st gear is too slow to use when empty. It has large mirrors for good all round observation, with smaller mirrors for the examiner to see from the passenger seat. We have a camera system fitted to the rear when reversing connected to a mirror screen inside the cab. This will help as well when doing the trailer licence C1+E when backing onto the ball hitch of the trailer. We train in four hour lessons with you and the instructor. Mornings usually start at 8.30 am till 12.30 pm and afternoons 12.30 pm till 4.30pm. With 4 test slots a day at OUR test station we can build a course around you, Saturday test can be applied for at an extra fee. Please ring us so we can send you the paperwork for the C1 provisional to send to DVLA Swansea. 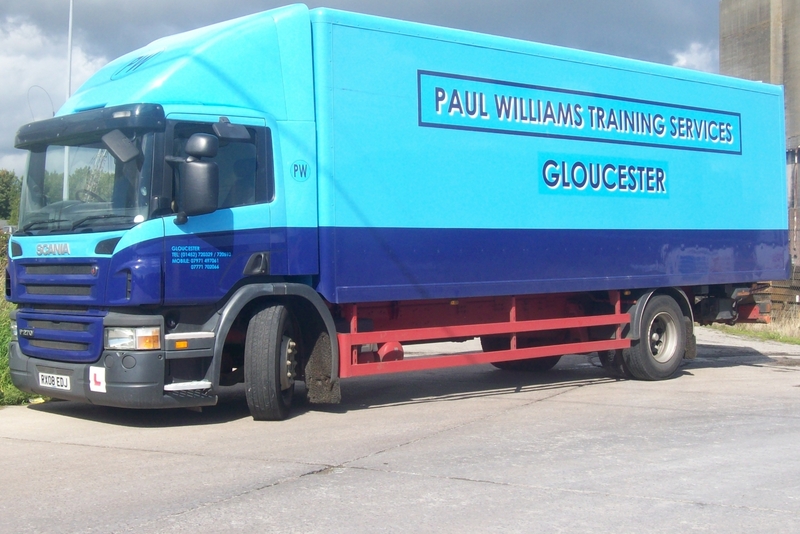 This pack will also include the medical forms and the info on the Hazard Perception and Computer test for lorries which you will need prior to coming for an assessment drive.If you have any questions don't hesitate to call we are here to help you.